Jakarta, Indonesia, February 2018 - Archipelago International recently hosted the photo contest 'Love in a Frame' in conjunction with the Valentine’s day on Instagram where more than 500 images were submitted. With hashtag #IHeartArchipelago, the photo contest invited many Instagram users to capture their romantic moments by posting their most creative heart-shaped photo. 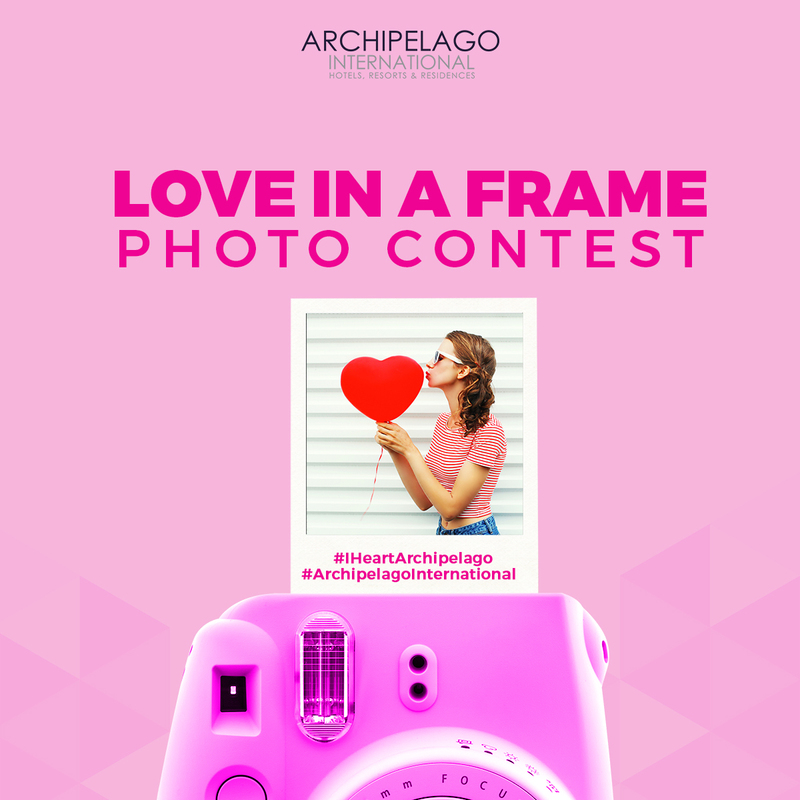 To join the contest, people must post a unique and creative heart-shaped photo on Instagram by following and tagging Archipelago International’s account with hashtag #IHeartArchipelago #ArchipelagoInternational. There were six winners with the most creative photo selected: @putu.wahyuni, @sol_h_n, @aleshacathy, @lidia_delvi, @windayunisyap, @wensven18. The announcement was made through the @ArchipelagoInternational Instagram account and each of them won IDR 1,000,000 as the prize. “Congratulations to all the winners! We were blown away with all of the unique and creative images submission; this campaign started from February 14 until 28, 2018 and has successfully drawn people attention, especially the active social media users. Choosing Instagram as the channel is the best choice, since this platform is now becoming the most hyped social media.” says Erika Anggreini, Corporate Director of Marketing - Archipelago International. Follow @ArchipelagoInternational on social media to be the first to know about our promotions and events. For special rates in all Archipelago International Hotels across Indonesia and Malaysia, you can download and book through Archipelago Membership App. Currently, the fastest growing hotel management firm, Archipelago International holds Indonesia's largest portfolio of over 135 hotels (17,000 rooms) and 100 new properties under development across Indonesia, the Caribbean, Philippines, and Malaysia. Brands include Nomad Hostels, favehotel, Hotel NEO, Quest Hotel, HARPER, ASTON, The Alana and Kamuela. Hotels range from ultra-luxurious villas to select-service and from economy-class hotels to serviced-apartment residences.